The UTQ Series quarter-turn electric actuator delivers safe, dependable, recognized performance for use in industrial valve applications. 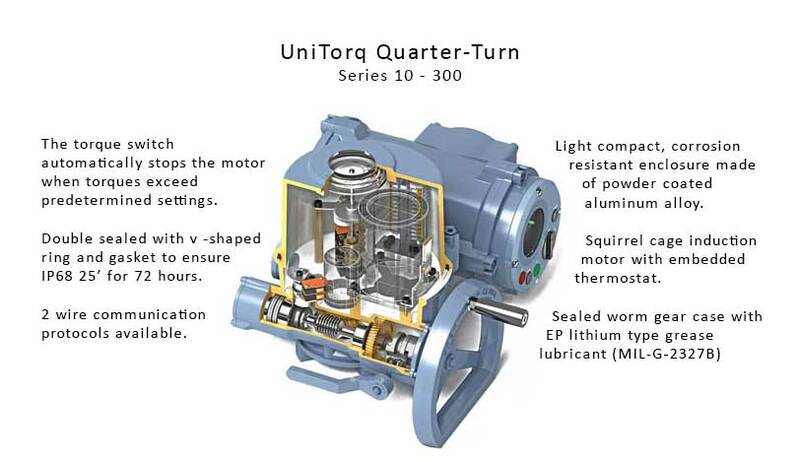 A large inventory, with an abundant list of standard features and available options make the affordable UTQ the ideal solution for your quarter-turn valve applications. The links below will provide a PDF document containing dimensional drawings, weights, mounting patterns, and sizes for that model. 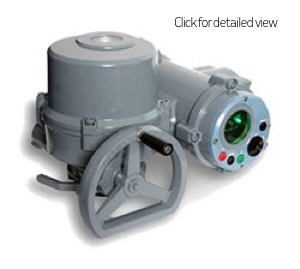 Contact UniTorq for wiring diagrams or any additional information required.